The obituary written for Maurice Copland described him as having "brilliant talents", and a "genial nature". He was born in Adelaide, South Australia on 22 June 1880 and graduated in Engineering from Melbourne University in 1903, winning exhibitions in natural philosophy, chemistry and engineering. He worked as a mining engineer in Victoria, Africa, South Australia, Queensland and Western Australia, and was experienced in gold, coal and diamond mining. Maurice Copland prepared a bulletin on "Monozite deposits at Croajingalong" in 1904. He was assistant engineer to Dr Hatch of Johannesburg, South Africa between 1904 to 1906. He was consulting engineer to Lewis and Marks, of Johannesburg during the two years, and was also consulting engineer to the Roberts Victor Diamond Co. Ltd, Orange River Colony. 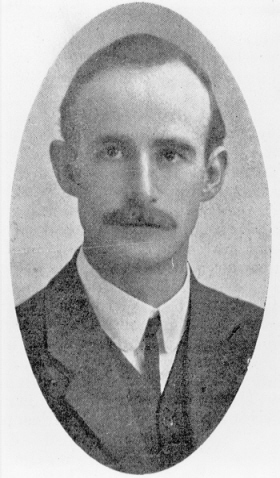 Maurice Copland later worked at the Stanley Hills Mine in New Zealand for a year before taking an appointment as lecturer in charge of engineering at the Kalgoorlie School of Mines before taking charge of the Ballarat School of Mines (SMB)in 1917. Maurice Copland was of great assistance to Returned Soldiers. He had hardly taken over the school when the repatriation problem had to be faced, and he threw himself into providing them vocational training with extraordinary zeal. The Courier of 18 November 1922 said of Maurice Copland: "His heart and soul was thrown into the work of the returned soldiers when their classes were started. He put his very best into the work for the welfare of the soldiers; in fact, he did too much for the good of his physique, for he wore himself out in the services of the returned men. If ever there was a war victim the late Mr Copland was one. But for the stress of work entailed by those repatriation classes and the amount of general war work which he performed Mr Copland would probably have been with them to-day." Maurice Copland died aged 40 years and was interred in Melbourne. The School was closed for a day on account of the death of Maurice Copland, and the School flag was flown at half-mast as a token of respect. Keen regret was expressed amongst the students, especially the soldiers on vocational training. The Star of 3 August 1920 reported: "The late Mr Copland had taken such a keen and practical interest in their welfare that, as one of them put it yesterday, they all felt as though they had lost a brother." In April 1921 the SMB Council moved: "That a tablet in beaten metal be erected to the memory of the late Mr Copland; sample designs and ideas be submitted to the Art Principal at the next meeting, and that the tablet be executed by the Art school." At the unveiling it was said of Maurice Copland that "his staff loved him and trusted him implicitly. Mr Copland was a man who got the very most out of everyone with whom he came into contact. He was a man endowed with so many excellent points in his character."